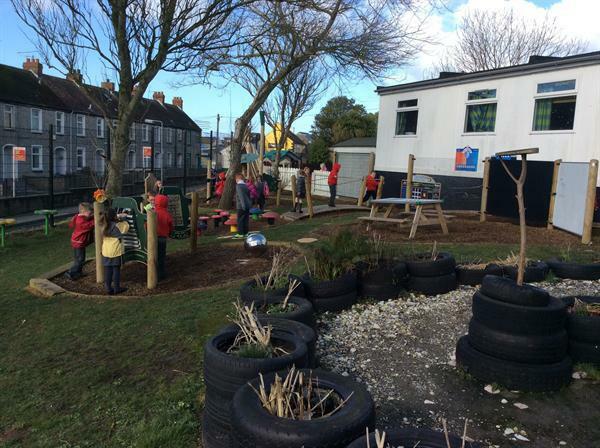 Our Eco-garden is complete - adding to our relaxing garden and wild flower area is a fantastic outdoor learning space. 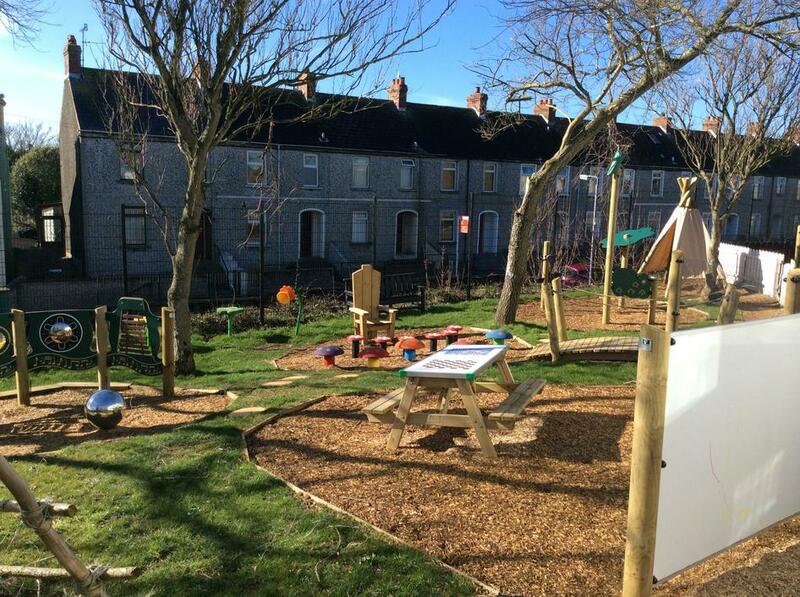 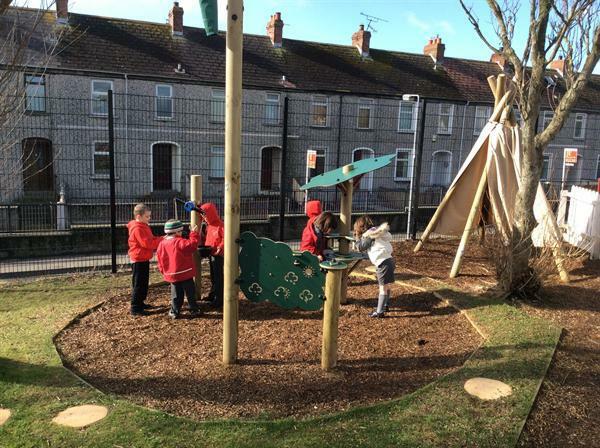 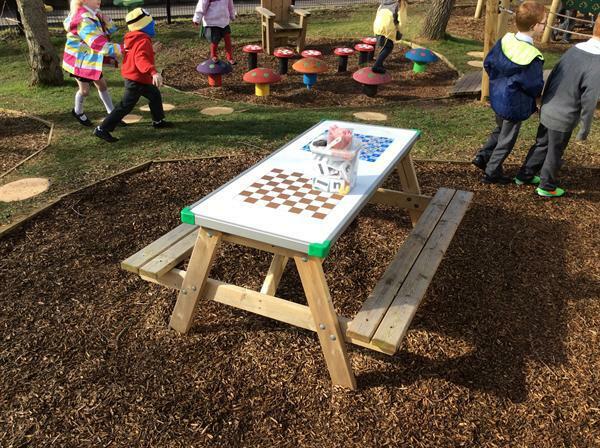 Equipped with resources suitable to a range of curriculum areas the garden will facilitate learning and exploration for classes throughout the school. 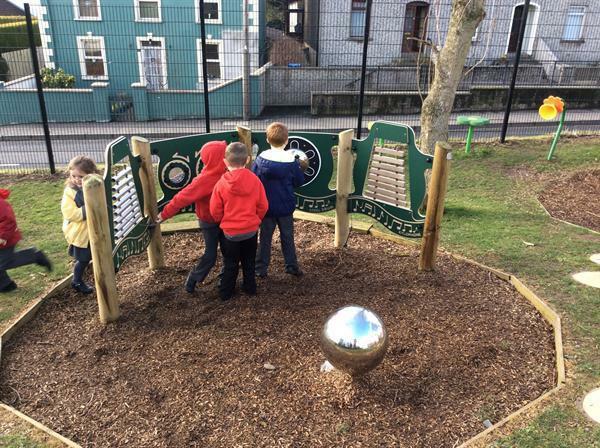 Creativity - a game table, drawing trail, music trail and play sphere. 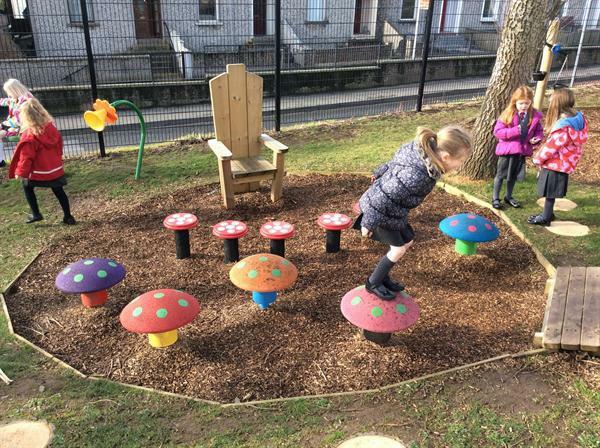 Story Telling - a tipi, story teller chair and colourful mushroom seats. 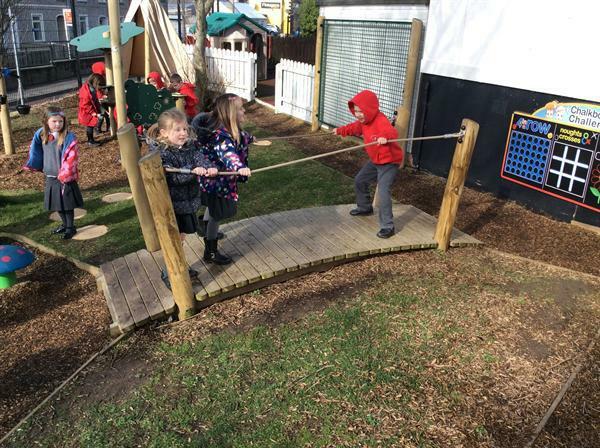 It also features a tree seat, woodland bridge, flower seats, stepping stones and talking flowers. 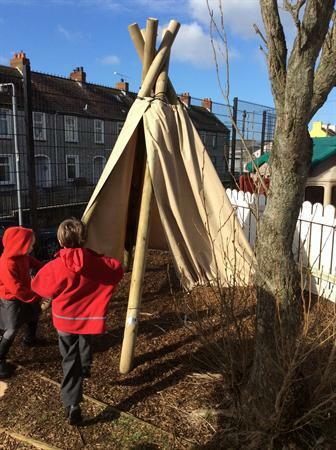 The boys and girls love exploring and learning outdoors.